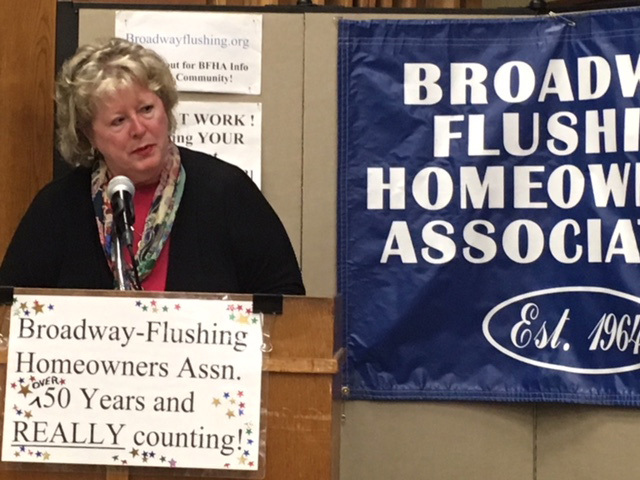 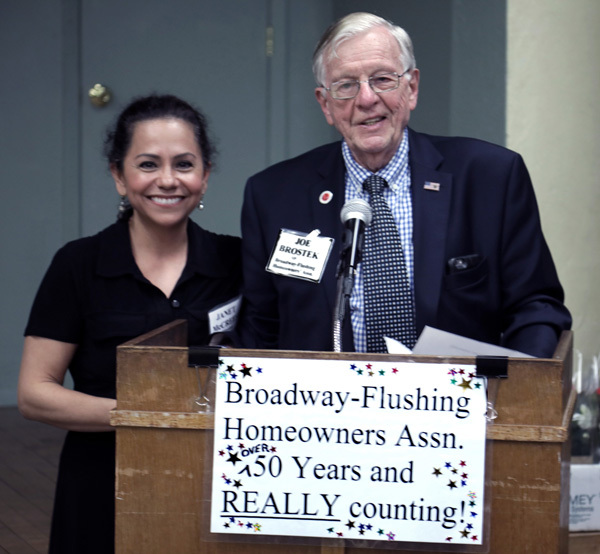 Joseph Brostek thanks Janet McCreesh for serving as President of the BFHA Executive Board. 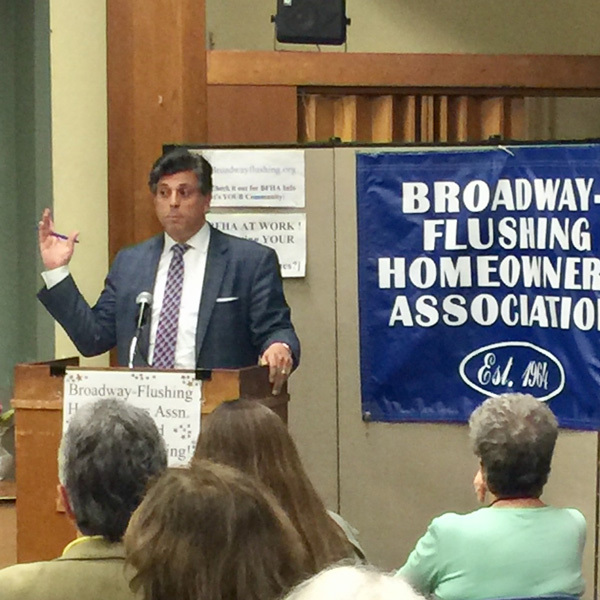 Anthony Iuliano, Department of Buildings, Intergovernmental Affairs Liason, updates our membership about issues in our community. 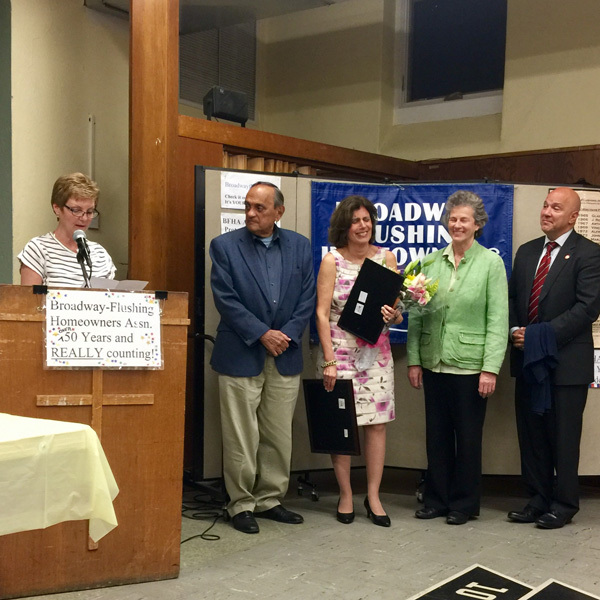 Martha Pirone reads letter to Maria sent by past presidents Sandi and Art Viviani. 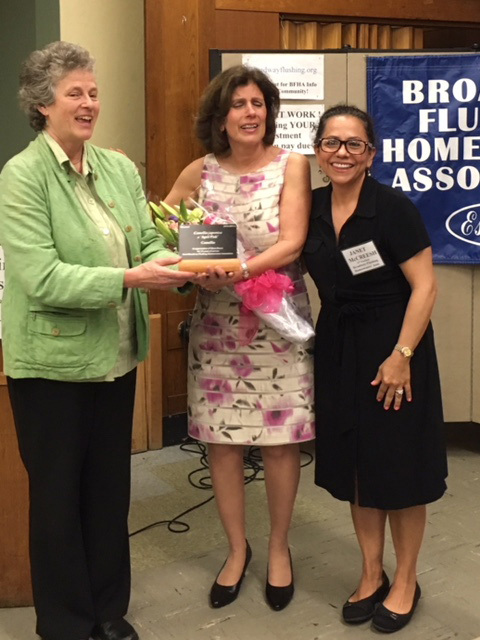 Susan LaCerte, Executive Director of the Queens Botanical Garden presents Maria Becce with her retirement gift from the Executive Board. 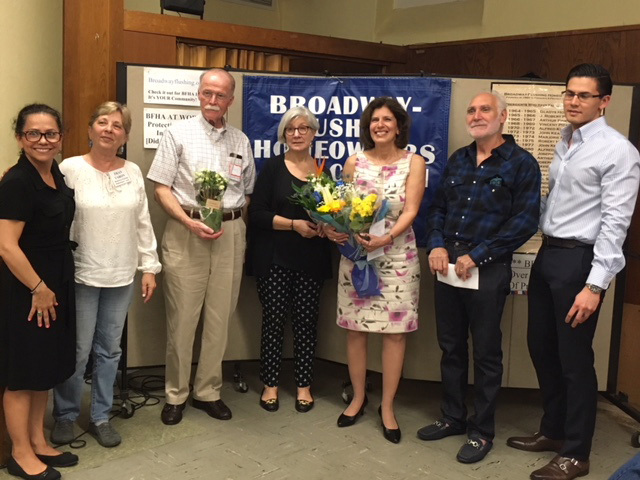 Janet McCreesh and Fran Varon present Best Garden Awards to Larry Arfsten, Diane Arfsten, Maria Becce, Willi Becce and Matthew Becce. 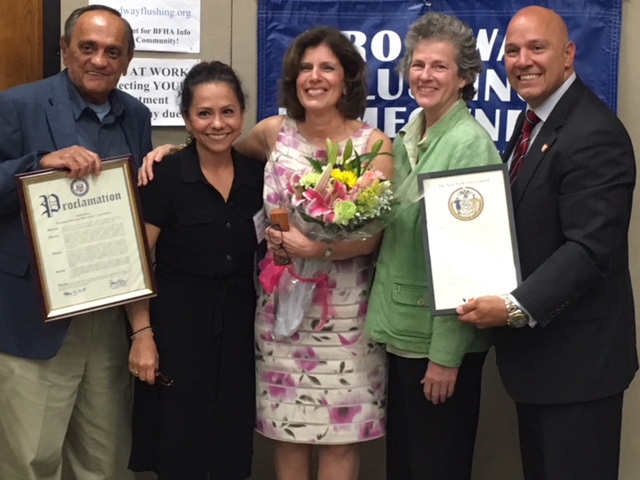 Don Capalbi (Representing Congresswoman Grace Meng), Janet McCreesh, Maria Becce, Susan LaCerte (Executive Director, Queens Botanical Gardens) and Councilman Paul Vallone honoring Maria Becce After 36 years of service to BFHA.